FESPA is a hugely important exhibition to attend for the screen printing, digital printing and textile printing communities. Founded in 1962, FESPA organises the leading exhibitions and conferences for this community, and reinvests profits from these activities into the global print community. It is extremely important for print service providers to “Dive Deeper” and discover more about how digital technology can help them add new capabilities and services to create new depths of revenue. 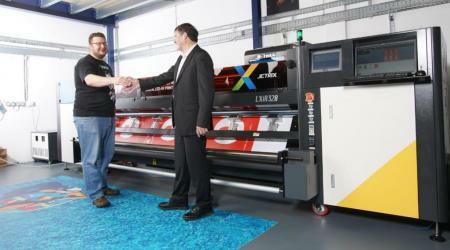 The ‘ocean of opportunity’ for the printer at FESPA is huge. Your business has the chance to make new discoveries with technologies, consumables, techniques, processes, applications, customers, business models and more– that can help to grow their business. This year the event takes place at the Munich Exhibition Centre in Munich, Germany from May 20 to May 23. Not only is FESPA a print show, FESPA also attracts a high calibre of designers, product managers, brands, agencies, marketers and advertisers all available over the weekend to discuss upcoming trends and network with attendees. Not only will equipment be on display but also consumables, techniques, processes, applications and business models will be discussed over the weekend. Neopost will be delighted to join some of its partners at the event including Roland, Hexis and EFI. 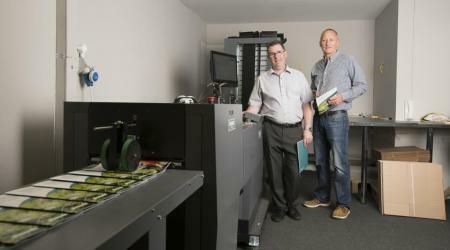 Roland will display their ever so popular wide format equipment, have a range of supplies on display and will have industry experts available to talk about the latest technology. Hexis will display their hugely popular range of supplies and feature demonstrations of a range of graphics including the popular car wrapping. EFI will be leveraging its very strong position in the wide-format sector with important announcements. The growth in popularity across the product range will be reflected in all machine options available. EFI have kindly agreed that attendees to the event can receive a free ticket by simply registering now! Click here to register and receive a free ticket now! For more information about FESPA 2014 view visiting information on the official website of FESPA Digital 2014.